Merry Christmas, my friends! It’s hard to believe, but it is the time of year again where we put out the milk and cookies and wait for Santa to come drop our presents. The Boston Bruins are no different than we are, and they will be hoping that Santa is awfully good to them this time around. Like all of us, GM Don Sweeney and friends have made their lists and checked them twice before mailing them off to Santa this holiday season. What exactly is on Sweeney’s list for his hockey club this season? Well, let’s take our best guess at what the GM might be asking for as his club begins to gear up for another playoff push. There is no team that has suffered as many injuries, and to key players, as the Bruins. They have played long stretches without Charlie McAvoy, Zdeno Chara, Patrice Bergeron and Jake DeBrusk. Slowly but surely, these players have begun to return to the lineup and give the club a better look. That said, the Bruins still need their health and they need Chara back badly. 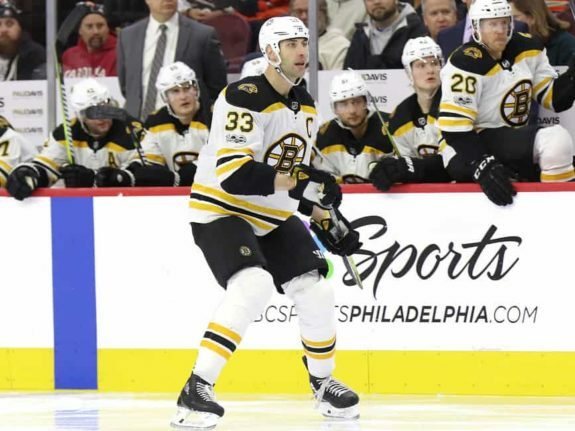 Bergeron’s return to the lineup has given them two scoring lines thanks to some changes made by head coach Bruce Cassidy. Bergeron and Brad Marchand have stayed together while David Pastrnak has joined fellow Czech David Krejci on the club’s second line. The Bruins have a much better chance at winning in the playoffs with a balanced top-six and the only way they can keep it rolling is with their health. The calling card for this club is the defense, however. Chara, McAvoy, Torey Krug, Brandon Carlo, John Moore and Matt Grzelcyk help give the them the second-best defense group in the Atlantic Division, in my mind, behind the Tampa Bay Lightning. The Bruins haven’t been able to run their full group all season, however, because of various injuries to their top guys. First it was Krug, then McAvoy and now Chara. It’s tough to win consistently when you have so many key guys out at one time. 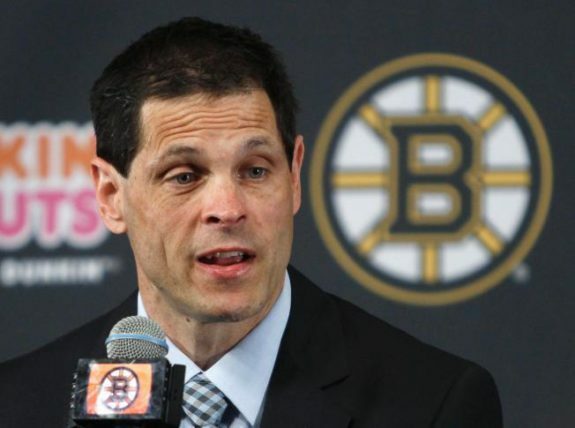 If the Bruins can stay healthy, they’ll be able to see exactly what they need come trade deadline time and will be able to get a better read on whether or not this team can successfully make a run in the playoffs. This has to be number one on Sweeney’s list this holiday season. In terms of a toy this Christmas, the Bruins would love to add a top-six forward. It seems like Cassidy is going to roll with pairings on his forward lines. Roll Bergeron and Marchand on one line and Pastrnak and Krejci on the other. The still leaves, however, two spots open in the club’s top-six forward group. Sweeney didn’t panic over the summer and kept his powder dry, electing to let his young players develop instead of overpaying for a veteran option that will handicap the team in a few years. Ryan Donato looked great Sunday against the Carolina Hurricanes, while Danton Heinen has looked at home alongside Marchand and Bergeron. DeBrusk is also a top-six option, but the club might want to play him on a third pairing with Donato to help spread the scoring. Let’s say Heinen, who does have the skill to play this kind of role, sticks on the top line as a cheap third option with Bergeron and Marchand. Great, you just filled a massive hole in your lineup. The Bruins will still need another top-six forward to play with the Czechs, however. If you plan on playing Donato and DeBrusk together, you probably need to go outside the organization. No offense to Joakim Nordstrom, a strong bottom-six forward, but he’s not a long-term solution in this spot. A rental forward like Patrick Maroon of the St. Louis Blues, whom the Bruins had interest in a season ago, or Jordan Eberle of the New York Islanders could be a great fit for the rest of the season. 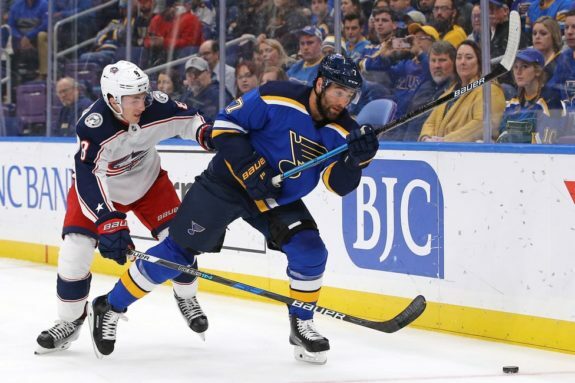 More long-term options like Columbus Blue Jackets Artemi Panarin could be a fit as well, but would likely cost a young roster player and a plethora of picks and prospects. There will be options available to the Bruins this trading season. Adding a top-six forward will give them the scoring depth needed to compete in a division that features arguably the two best offenses in hockey with the Lightning and Toronto Maple Leafs. Bruins fans have long underappreciated goaltender Tuukka Rask and his contributions to the club. This season, however, has not done much to prove those fans wrong. He has not been at his best this season, and games like Sunday against the Hurricanes prove that. The Bruins absolutely need him to be better moving forward. Nothing against Jaroslav Halak, who has played sensational since arriving via free agency in July, but his career track record suggests that this is a goalie who runs hot and cold. Rask, on the other hand, has a track record as a strong starter in this league. The Bruins are going to need him if they plan on playing late into the spring months. Sweeney, Cassidy and quite frankly Bruins fans everywhere should be asking for Rask’s return to normalcy this Christmas. He didn’t get nearly the credit he deserved last season when Boston reached the 100-point mark, but his importance is being seen this season as the club can’t get a sustained stretch going as he spins his wheels in the mud. Rask is a good goaltender, and the Bruins need him to start showing it once again. If he does, this club can make noise come playoff time and maybe even earn themselves the advantage of home ice in the opening round.